By clicking on the payment link above, you agree the following terms and conditions: PayPal charges 2.2% plus $.30 for each transaction. Please understand that we need to pass this fee on for the usage of this service. 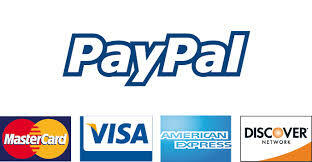 When making your payment, please add these “PayPal fees” to your payment. An automatic “PayPal fee” calculator is available to help you calculate these handling fees. The 1st month’s tuition is not refundable. Tuition can be paid at the school on weekdays between 9 a.m. and 3 p.m., or at the Rectory. Contact Mrs. Marcella Givens, at 215-424-5045, regarding tuition concerns. In addition to the yearly tuition, each family is expected to sell $100.00 worth of items, per year. This amount will be added to the tuition total, if the required amount of sale is not met. See addendum in the back of the Student/Parent Handbook.